Dr Savita Kumra is a Senior Lecturer at Brunel Business School. Savita completed her doctorate at Cranfield School of Management where she is a Visiting Fellow in the Centre for Developing Women Business Leaders. Savita is also International Research Fellow in the Novak Druce Centre for Professional Services at the Said Business School, University of Oxford. She has published in British Journal of Management, Gender, Work and Organization, Journal of Business Ethics and Gender in Management: An International Journal. She has recently published her first book, co-authored with Dr. Simonetta Manfredi, Equality and Diversity Management: Theory and Practice, published by Oxford University Press. ; Ruth Simpson is a Professor of Management at Brunel Business School, UK. She has published widely in the area of gender and management, gender and emotions and gender and careers. 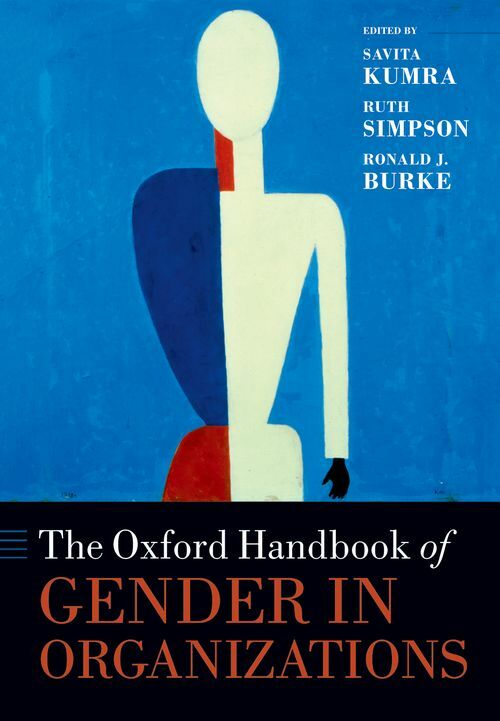 Recent books include Men in Caring Occupations: Doing Gender Differently; Gendering Emotions in Organizations; Revealing and Concealing Gender in Organizations; Dirty Work: Concepts and Identities; and Emotions in Transmigration. ; Ronald Burke is Professor Emeritus of Organizational Studies, Schulich School of Business, York University in Toronto. He is the editor or co-editor of 41 books and has published numerous articles and book chapters. The founding editor of the Canadian Journal of Administrative Studies, he has served on the editorial boards of over 20 journals. His current research interests include work and health, corporate reputation, human frailties in the workplace, and women in management. He has served as Associate dean-Research, head of the Doctoral Program, Research Committee and Organizational Studies area at Schulich.